The Site is controlled and operated by Specialist Financial Services Ltd trading as Imagine Loans from the United Kingdom and complies with English law. Only intermediaries authorised within the United Kingdom (UK) or European Union (EU) may register as users of the Site or use any of the services on offer. Further terms and conditions will apply. Those who choose to access the Site from locations outside the UK or EU do so on their own initiative and are responsible for compliance with any applicable local laws. No material from this website may be copied, uploaded, posted, modified or distributed in any way without our prior written permission, except that you may download one copy of the materials on any single computer for your personal or home use only, provided you keep intact all copyright and other proprietary notices. The use of any such material on any other Web site or computer environment is strictly prohibited without our prior written permission. Material uploaded, posted, modified or distributed from this website can only be used to submit customer enquiries to Imagine Loans. The Company reserves the right to alter or delete material from the website at any time and may, at any time, revise these terms by updating this posting. You are bound by any such revision and should therefore periodically visit this page to review the then current terms. While the Company uses reasonable efforts to include accurate and up to date information in the website, the Company makes no warranties or representations as to its accuracy. The Company assumes no liability for any errors or omissions in the content of the website. Any third party software which may be downloaded to a website operated by a third party (whether referred to on or linked to this website) is the responsibility of that party and not of the Company, who shall have no responsibility or liability arising in respect of any loss, damage, viruses or otherwise arising as a result of the downloading by you of such software. Further terms and conditions apply in respect of all services offered or described on this website. These are available to view at the appropriate location on this website or may be made available at a later time. The Company provides the website for your general interest and information only. The Company makes no representation or warranties about the accuracy or suitability of any product or purpose of any content of the website and all other implied warranties are excluded to the fullest extent permissible under English law. By using the website you hereby agree not to rely on any of the information contained herein. Under no circumstances shall the Company be liable for any direct, incidental, special, consequential, indirect or punitive loss or damages that result from the use of the materials on the website or the materials in any websites linked to the website or any services offered on the website whether by the Company or its commercial partners. The Company shall have no responsibility in respect of any goods or services brought by you from any other organisation referred to on this website. The information that is made available on this website is intended for general information purposes for registered and/or authorised introducers only and is provided on an 'as is' basis without any warranties of any kind. Neither we, nor any of our associated Companies, accept any liability for any loss arising as a result of reliance on the information contained on this website. This website is not intended for use by the general public and potential customers should not be made aware of the presence of this website. This website is owned by Specialist Financial Services Limited trading as Imagine Loans and is protected by copyright and database rights. You acknowledge that all trademarks (registered or unregistered) used in providing this service shall remain the property of Imagine Loans at all times. Whilst we retain the right to establish any hypertext links *between this website and any third party website at our discretion, you agree that you will not create any hypertext links or deep links**between this website and any third party website without our express written consent. If you choose to use such a link as detailed in Clause 5 then you will leave this website. Once you leave this website, whether or not you realise that you are leaving, we are no longer in any way responsible for the material on the other website that you enter. We exclude to the fullest extent permitted by law all liability that may arise in connection with or as a result of such external website material causing any damage, costs, injury of financial loss of any kind. You must not disclose to or allow any other person to use your user name and password. We are interested in protecting your personal information and we only use your personal information in accordance with the Data Protection Act. You have sole responsibility for adequate protection and backup of data and/or equipment used by you in connection with this website and will not make a claim against Imagine Loans for lost data, re-run time, inaccurate output, work delays or lost profits resulting from the use of such materials. Imagine Loans reserves the right to refuse access to this website or any component of it. Imagine Loans may at any time, at the discretion of the website's management, refuse access to certain areas of this website to any individual it chooses - this refusal of access may take whatever form the management deem suitable. 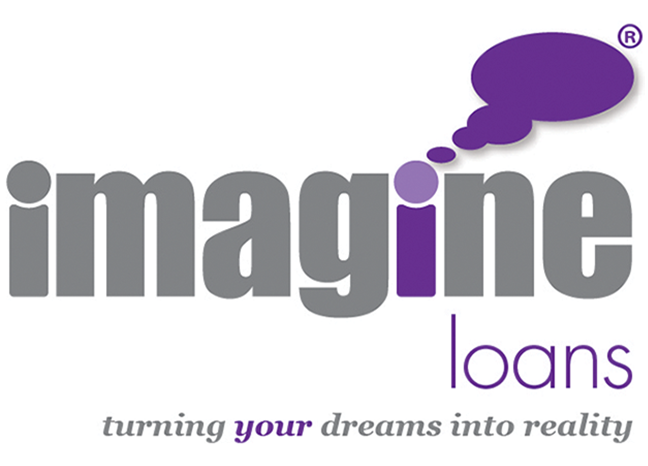 This website is controlled and operated by Imagine Loans from the United Kingdom. Imagine Loans makes no representations that materials in this website are appropriate or available for use in other locations. Those who choose to access this website from other locations do so at their own risk and are responsible for compliance with any and all local laws, if and to the extent local laws are applicable. No material from this website may be downloaded, exported or re-exported into (or to a national or resident of) any countries that are subject to UK exporting restrictions/legal or socio-economic sanctions. This Privacy Statement co-exists with our Terms and Conditions and together these govern the general practices of this website. We encourage all of our users to familiarise themselves with this statement and our website Terms. Imagine Loans may update this Privacy Statement from time to time. Please do not hesitate to contact us if you have any comments or questions regarding this Privacy Statement or website Terms. By using this website, you signify your assent to the Imagine Loans Privacy Statement. If you do not agree with the Imagine Loans Privacy Statement, please do not use our website. We reserve the right, at our discretion, to change, add or remove portions of this Privacy Statement at any time. Please check this page periodically for changes. Your continued use of the Imagine Loans website following the posting of changes to this Statement means you accept the changes we make. You acknowledge the Internet is not a 100% secure medium for communication and, accordingly, we cannot guarantee the security of any information you send to us via the Internet. If you send us an e-mail from your private mailbox, we cannot guarantee the security of the content until we actually receive it. For that reason, please do not send an unsecured e-mail with confidential information such as your National Insurance or bank account information. Likewise, if we send an e-mail to your mailbox, for example to reply to an enquiry, once the e-mail has left us, we cannot guarantee it will stay private. This means that we do not accept responsibility for the security of e-mails outside our systems, or accept liability if anything happens to your e-mail (for example, if they are intercepted,) outside our systems. If you ask us to email you information that is personal or confidential, we may need to ask you for extra information to check your identify and to give your authority to send that information to you. We have to do this under the Data Protection Act.